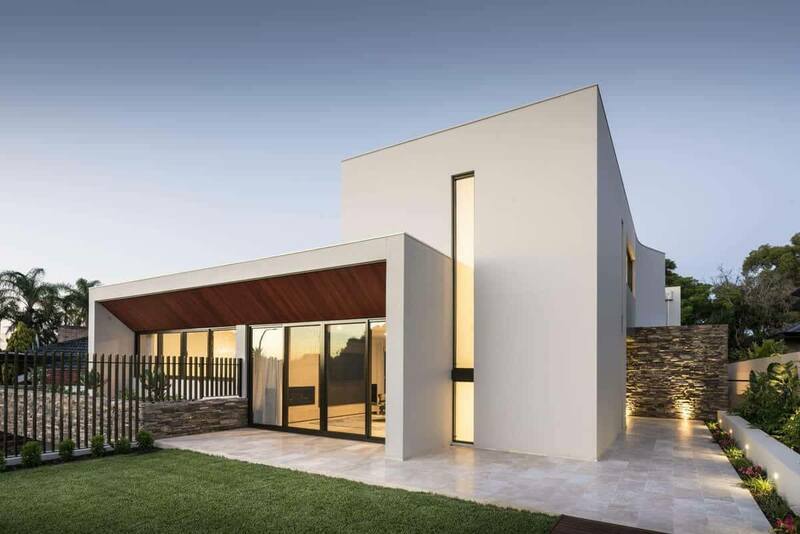 Overcoming the obstacles of a difficult site is a true show of skill and experience and with this Coolbinia home multi-award winning Weststyle Design & Development overcame a significant slope at the front elevation to create a custom built masterpiece that will stand the test of time. The dramatic entry is a harmony of water, stone, glass bathed in a profusion of natural light. 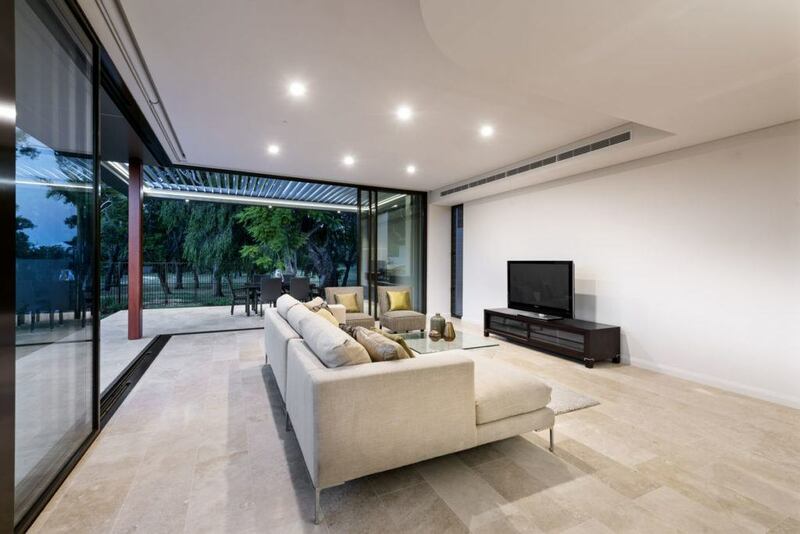 Clean contemporary lines blend with organic materials and warm tones to create an inviting ambiance. 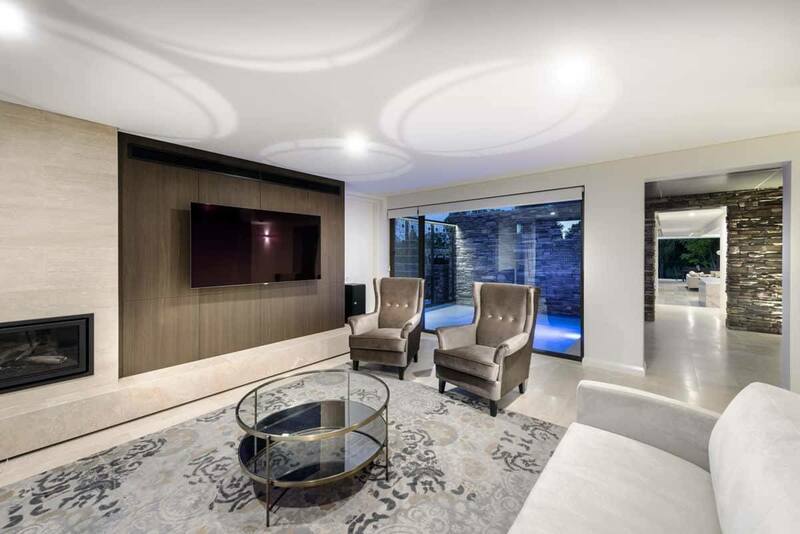 A large pivot entrance door provides views of an enchanting reflection pond where water flows through a laser cut screen over an infinity edge. 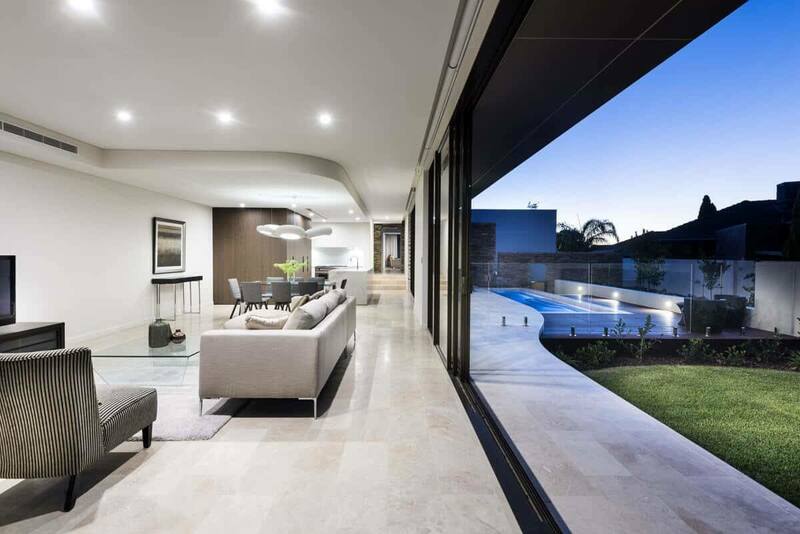 A stunning stone feature wall cuts through the entire home and can be seen from almost every angle. 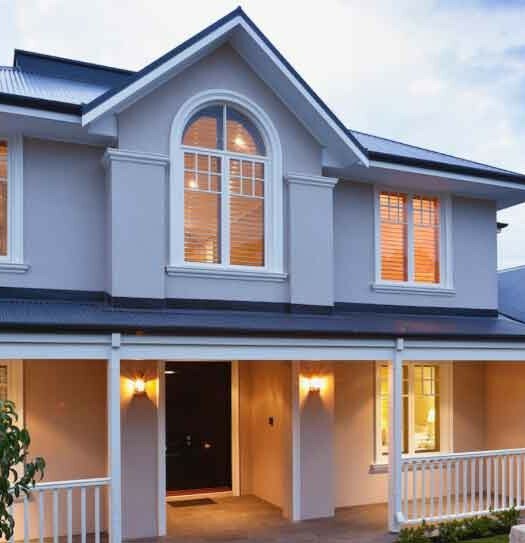 Boral Cultured Stone cladding on the wall provides high visual impact and unites indoor and outdoor spaces. The clients requested a functional, stylish home with plenty of living space where the family could come together, along with private spaces where the adults and their two young children could follow their own pursuits. 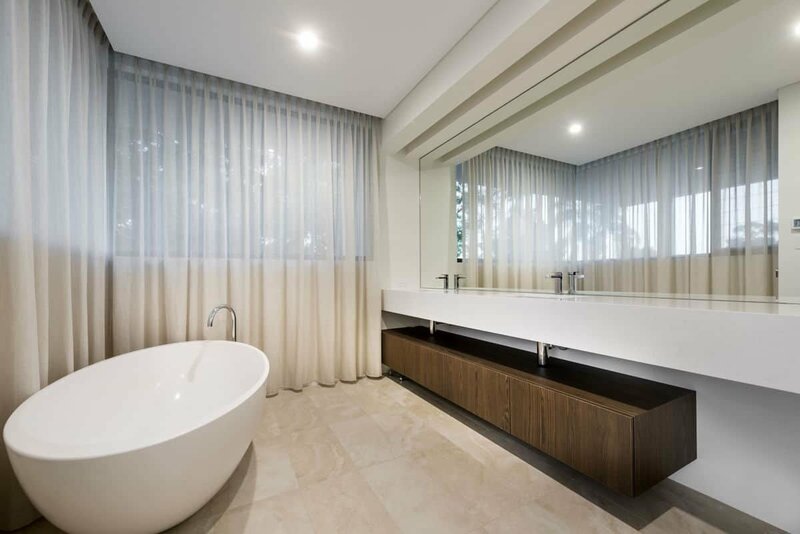 The ground floor private suite with a convenient kitchenette provides the owners exclusive access to the parklike outlook to the rear of the property. 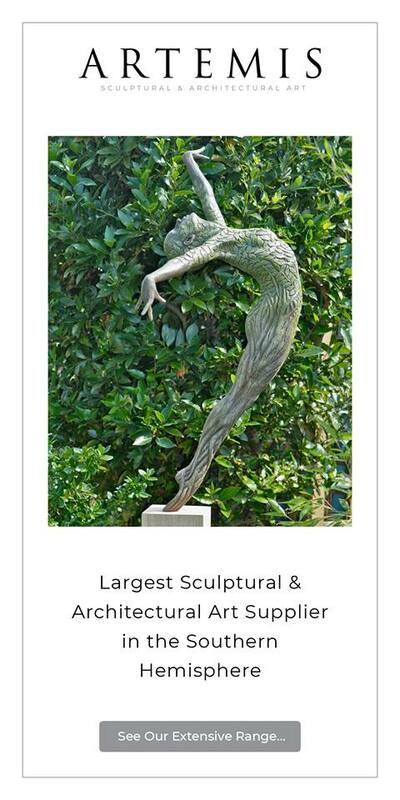 The basement level houses an expansive workshop as per the owner’s request, as well as a multi-purpose space for the children. 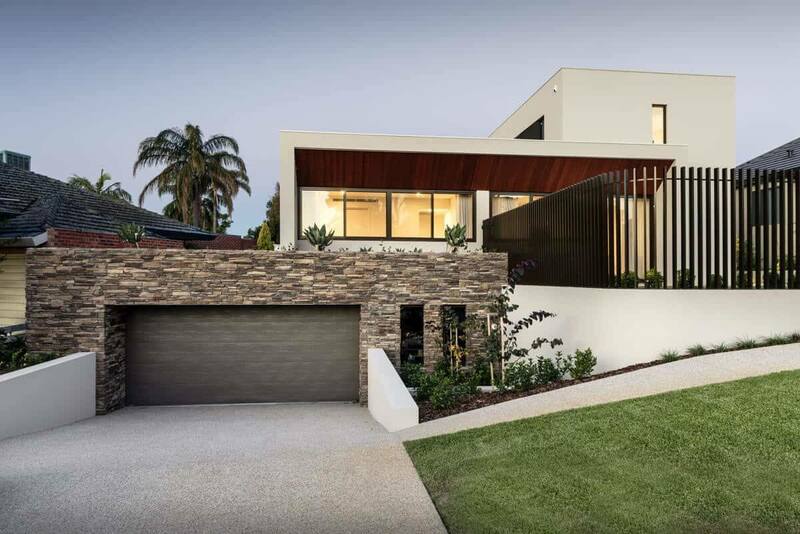 Warm travertine stone flooring flows seamlessly through the zones of the house, and timber veneer cabinetry, stone masonry and pantheon granite benchtops instill a feeling of welcoming earthiness that softens contemporary lines in this timeless home. 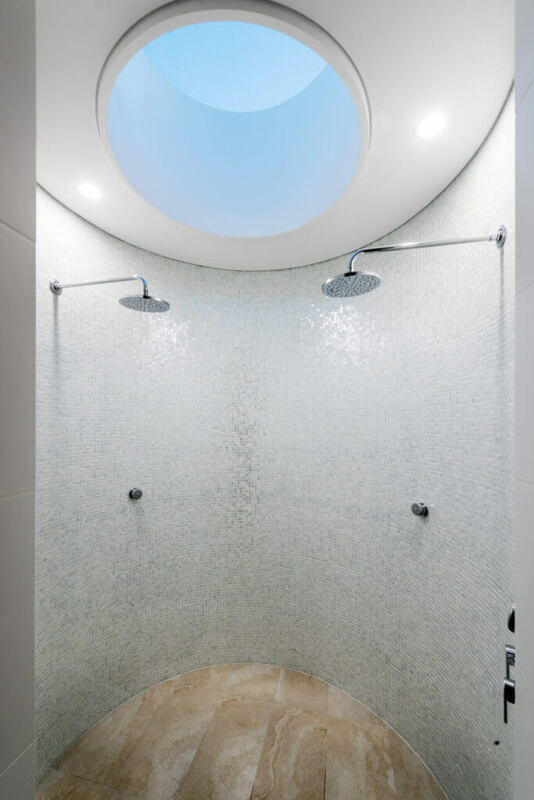 A distinctive circular skylight above the curved shower allows natural light to bounce off the pearl shower mosaics. 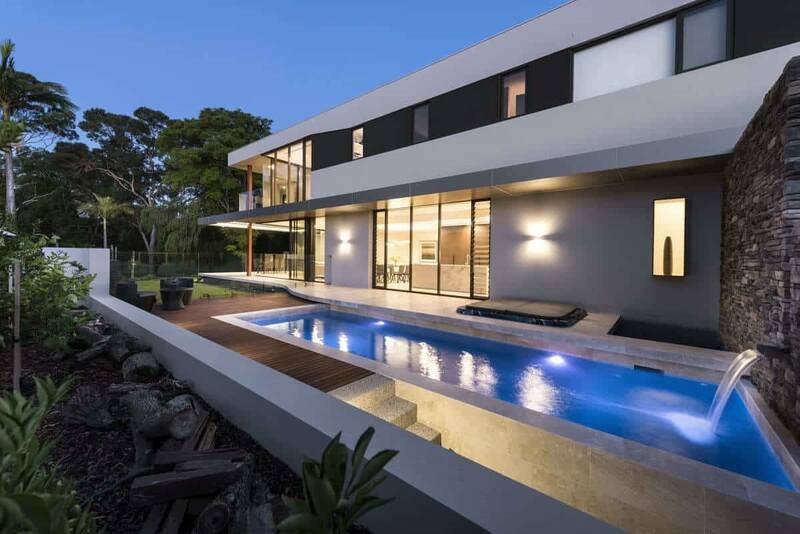 This luxury Perth custom home was featured in our 2018 annual of WA Custom Homes.